In my spare time I’m working on an article on personal networks and social fields among grassroots leaders in a suburb of Kuala Lumpur. I’ve been reading recent work on networks (since 2000) by anthropologists and am beginning to think that a useful distinction may be one between (a) those anthropologists who ‘found’ networks in the field, so to speak (e.g. 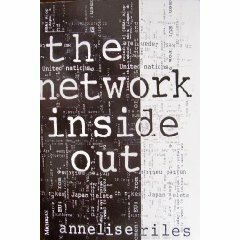 when working with network-oriented transnational activists or technocrats, see Edelman 2005, Green et al 2005, Juris 2008, Knox et al 2006, Riles 2000) and (b) those anthropologists who wish to rethink this problematic notion of ‘network’ even though it is not a key folk notion in their own field sites (e.g. Amit 2007, Hinkelbein forthcoming, Horst and Miller 2006, Moeran 2003). I belong to category (b), for the people I worked with in Kuala Lumpur, although very familiar with the idea of ‘networking’, were far more interested in so-called community building than in networks. In the article I explore the uses of the concept of ego-centred (or personal) network from the perspective of field theory, suggesting that no network operates in a social field vaccuum and that therefore we need to understand how fields work in order to undertand personal networks, and vice versa. Like most anthropologists, I am very dubious of the idea that there is such a thing as an increasingly dominant ‘network logic’ (Castells) or ‘networked individualism’ (Wellman) diffusing across the globe, calling instead for closer empirical attention to the claims and actualities surrounding the network metaphor in different places and historical periods. Amit, V. (2007) ‘Globalization through “Weak Ties”: A Study of Transnational Networks Among Mobile Professionals’, in V. Amit (ed.) Going First Class? New Approaches to Privileged Travel and Movement, pp. 53-71. Oxford and New York: Berghahn. Edelman, M. 2005 “When Networks Don’t Work: The Rise and Fall and Rise of Civil Society Initiatives in Central America,” pp. 29-45 in Social Movements: An Anthropological Reader, June Nash, ed.. London: Blackwell. Hinkelbein, O. (forthcoming) Strategien zur digitalen Integration von Migranten: Ethnographische Fallstudien in Esslingen und Hannover. Unpublished PhD Thesis, University of Bremen. Moeran, B. (2002) Fields, networks and frames: advertising social organization in Japan. Global Networks 16, pp. 371-386.
i am interested in networks too… and I am familiar with the works of those who ‘found networks in the field’. One can find antecedents of that tradition in the works of researchers who found network a good way of thinking about their data, post-fieldwork. I would be interested in reading the paper, when you are ready to share….. Thanks for that response, Olumide. I’m not sure I would put both groups in the same tradition, though. What I’ve gathered so far is that it is only group (b) who can be connected to the original anthropological interest in networks (Barnes, Bott, Mitchell etc.) that petered out in the 1970s with one or two exceptions (eg Hannerz). Group (a) are quite different in that their starting point is the 1990s worldwide explosion of the idea of ‘networks’ (esp. in certain fields such as activism, development, NGOs, policy-making) rather than a theoretical interest in networks within academic anthropology. Having ‘found’ self-conscious networks in the field (Vered Amit, personal communication) they have then theorised them with reference to network theorists such as Castells, Wellman, Strathern, Latour, etc. No problems – look forward to reading more about your Igbo research. Hope to make a short trip to Nigeria sometime in 2009-10. Indicentally, how have regional specialists used the notion of networks in West Africa? Most researchers working with networks in West Africa have used it as a metaphor, not in serious theoretical or analytical ways. You probably know about Abner Cohen’s 60s research on Hausa migrant traders in Ibadan, Nigeria. The notion of networks keeps coming up in the area of informal trade…. Kate Meagher, Keith Hart and other ‘informality studies’ researchers have written quite a bit around that. You are going to Nigeria for business or leisure? I’m hoping to be able to visit (it’s just a hope at this point) a PhD student I’m co-supervising at Sheffield Hallam, Godson Okafor, who’ll be doing field research on Nigerian journalism. Thanks for that link, yrumpala, I will look it up.